This topic contains 0 replies, has 1 voice, and was last updated by DNK 4 years, 6 months ago. 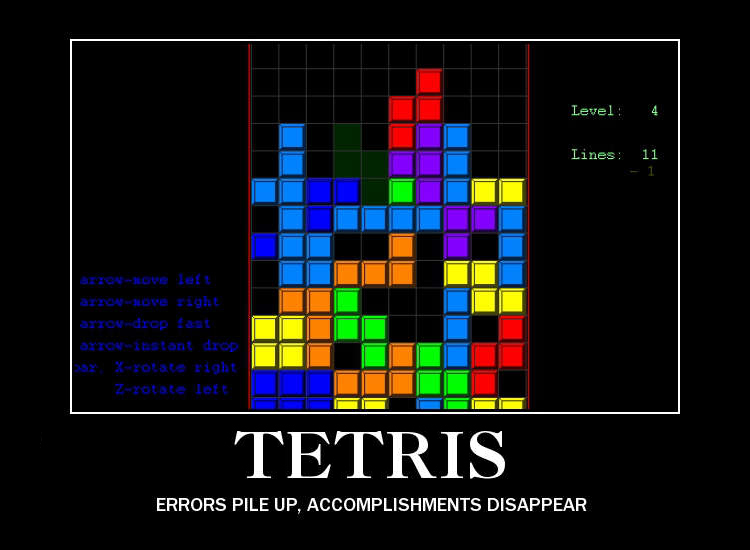 You know, life is like tetris. Have a different kinds of activities which are perfectly represented by these tetra blocks. Some of them are “want to do”, some “need to do”, and some are somewhere in the middle. And each damn day you have to find the best-like combination, and make it fast – because clock is ticking and blocks are falling right on your head. So we are. Trying to find dat best combination, every day juggling with work and fun. Ok ok, let’s cut the crap – what about our uber-awesome-megahit next game (don’t laugh, I’m dead serious right now)? Well, it’s making its way, slow but steady. I hope we’ll be able to achieve some meaningful milestones in development and announce our project by the end of the year. That’s it. And may the Force be with us all.